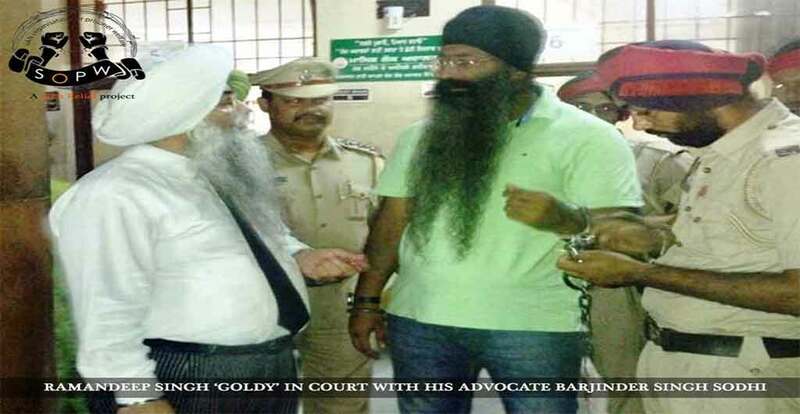 On 6th November 2014, Ramandeep Singh ‘Goldy’ was deported from Malaysia. Panjab Police had implicated him in the murder of Rulda Singh (the 62-year-old ‘Sikh’ face of the RSS, a Hindu supremacist paramilitary organisation committed to diluting Sikh values with Hindutva beliefs) who was killed outside his residence in Patiala in 2009 and in a Patiala bomb blast case. Ramandeep Singh’s capture also carried a reward of Rs10 lakhs. DSP Sohal and Inspector Mandeep Singh were sent to Thailand where it is believed, Ramandeep was staying. He was further tracked down in Malaysia and put on an Air India flight to Chennai and was arrested when the plane touched down. He has cases registered against him under the Arms & Explosives Act and the Unlawful Activities Act. Sumedh Saini (then DGP of Punjab Police), announced a promotion by way of reward, for the 2 arresting police officers.